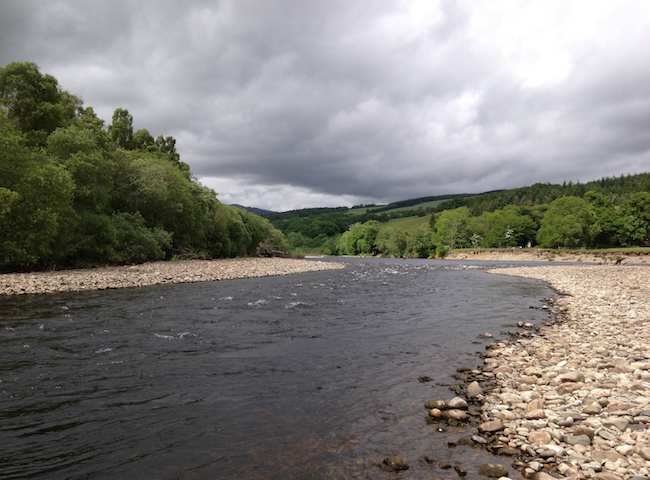 Fantastic memories are created on the Scottish salmon rivers due to their natural ambiance & beauty. Leave your valued guests with something special to think about. 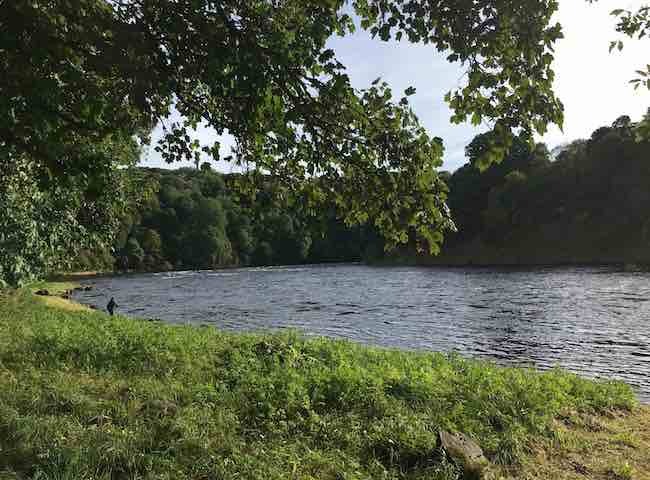 Being out in this beautiful natural environment in pursuit of an iconic wild Atlantic salmon is an amazing combination that can easily lead to a life long obsession. 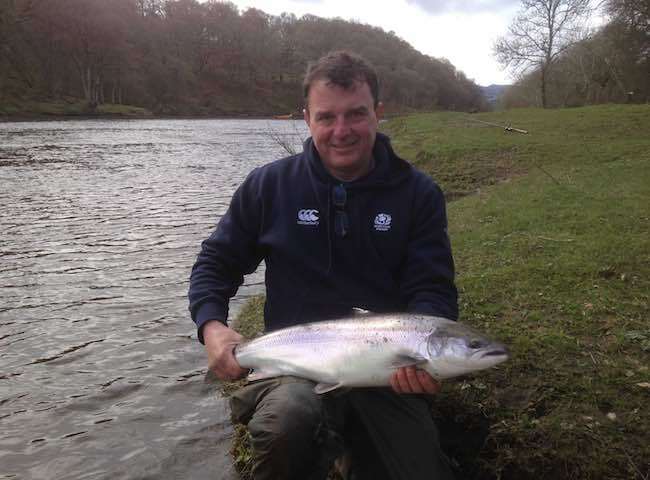 The early Spring between mid February & mid March can be a productive time on the River Tay for intercepting pristine early running Spring salmon like this perfect specimen. 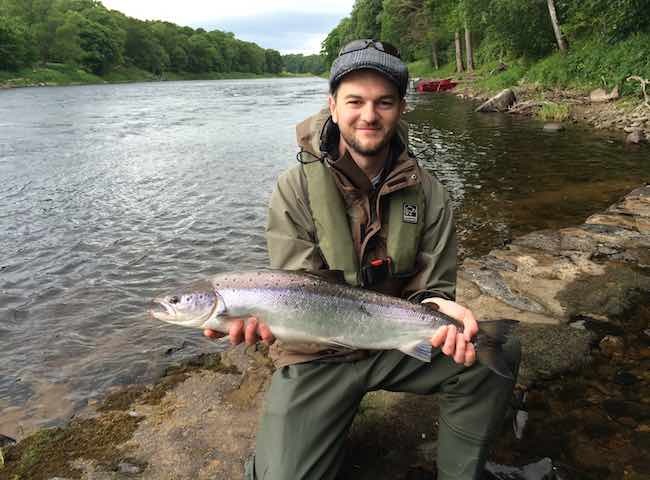 By taught how to fish for wild Atlantic salmon on the banks of the beautiful River Tay by some of Scotland's most dedicated professional salmon men. 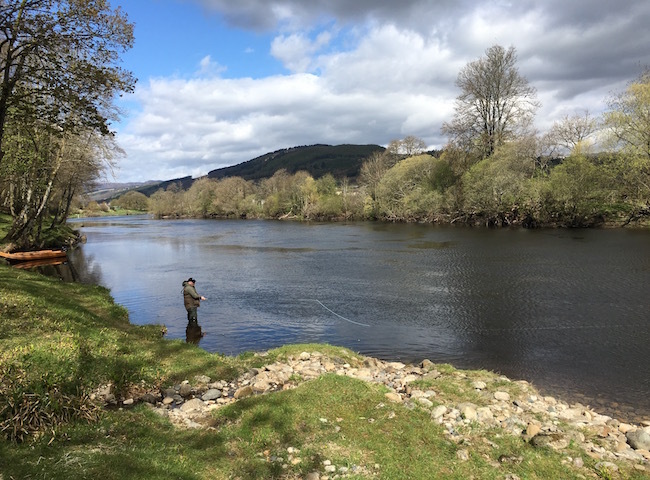 Here's a visual reason why there's nothing to compare to a salmon fishing event day if natural beauty is something that interests you & your business colleagues. 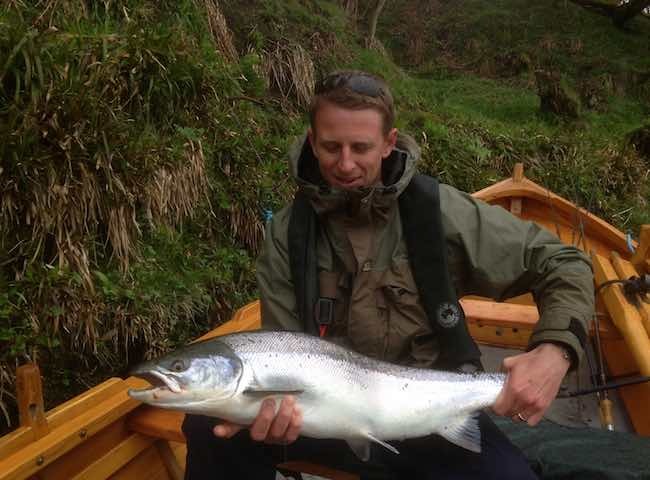 Here's the end product of a successful morning on the River Tay during the month of May. This was the second superb Spring salmon to be landed on that particular morning from the boat. This is the ultimate natural scenario for a fantastic day out with your business colleagues. Come and absorb the vibe of the salmon river and experience its supremacy for yourself. Here's something special you can lay on for your important business colleagues during 2017. 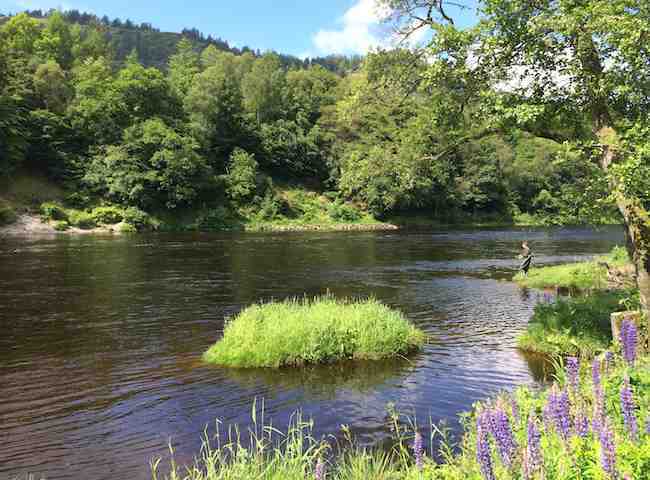 Treat them to something naturally different on the riverbanks of Scotland's most famous salmon river. 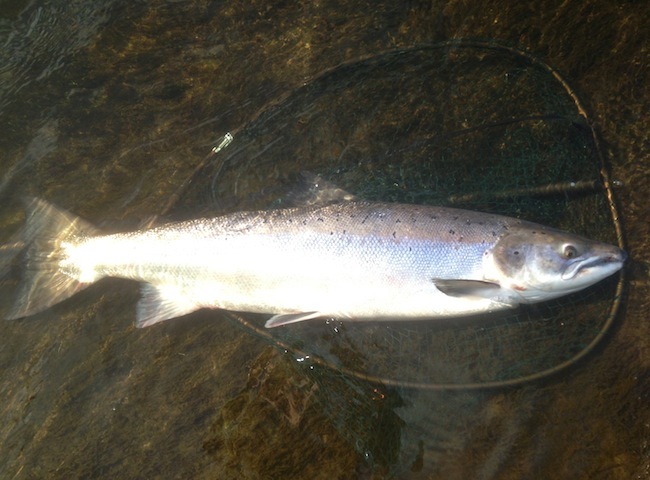 Here's a shot of a 27 lbs River Tay Spring salmon moments prior to its safe release. Catching a magnificent salmon like this perfect specimen is what every salmon fisher strives to experience. 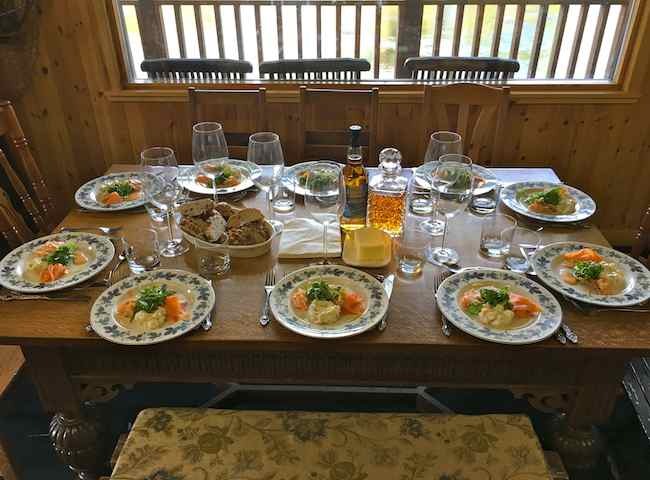 The very best way to enjoy lunch with your business colleagues is undoubtedly in a luxury fishing hut overlooking Scotland's most famous salmon river. 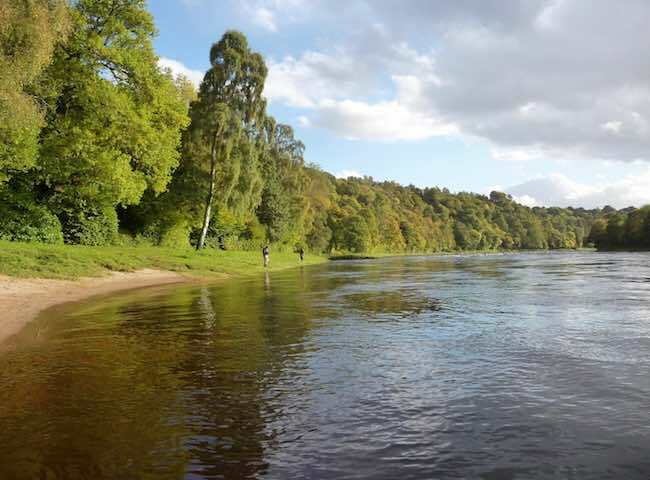 Here's a beautiful salmon fishing scene from the lower River Tay near Perth. 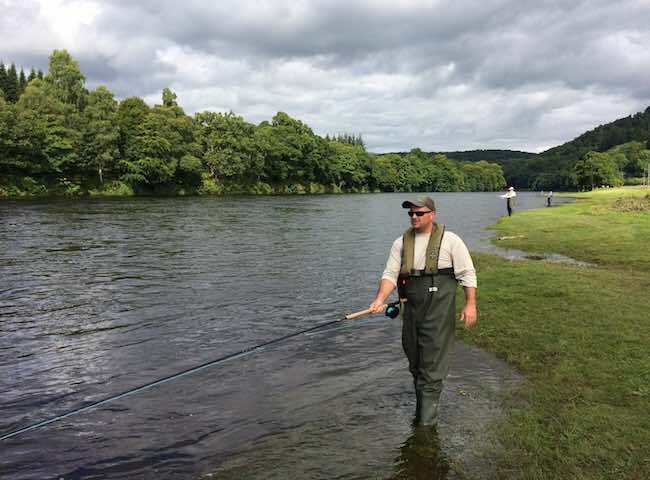 The Tay has many great salmon fishing venues that are perfect for a professionally organised event day.